Our CPU of choice for this budget is the Intel i3-6100. While it features only two cores, the 6100 also employs hyperthreading to help close the gap between it and a 4-core i5. Hyperthreading adds an additional logical core for each physical core, which is handy for streaming, video editing, and multi-tasking CPU-intensive tasks. The i3-6100 includes a stock cooler, so 3rd-party cooler isn't necessary. We're also using parametric filters to select the best priced 240-256GB SSD available. The SSD can be used for your OS and a good handful of games. Everyone's needs are different, so feel free to change out capacities to fit yours. For example, if 240GB feels cramped to you, I recommend picking up a mechanical hard drive for another 1 or 2TB or storage space. We're going with a filter for the best-priced Nvidia GeForce GTX 1050ti 4GB. This will run modern games at 1080p admirably. If you plan to play significantly more DirectX 12 games than DirectX 11 or other APIs, the AMD Radeon RX 480 or RX 470 may perform better, but there aren't enough DX12 games out to justify that as a general recommendation. The newly released Corsair 270R is a mid tower case that can fit all of our components. It offers decent cable management, a power supply shroud, a large window, room for multiple radiators, and there's space to expand with 3.5" hard drives or 2.5" solid state drives. It also has 2 front panel USB 3.0 ports. Cases tend to be highly personal choices, so make sure you browse our listed cases to see what suits you. I was so happy when I saw that this build was less than $600. Then I realized that it had NO OPERATING SYSTEM and then I was sad. Change some parts out and add it yourself? I'm not going to run linux on a gaming computer. There aren't enough games that would run on linux and driver support would be a nightmare. Are you a student? You can get a free OS from DreamSpark if you are. What kind of OS? Is it like a free Linux distribution? I never knew that. Hardware Canucks actually made a video about it I believe and I never thought twice about it. Or you could just do... erm you know what..
Pirate? I would not suggest that. Newegg has a combo that is very similar to this for $564.98 as of the date on this comment. Upside to the Newegg combo is the processor is an I5-6500. Downside is the motherboard is slightly less desirable and the SSD is 120Gb vs 240Gb. Other than that, the combo is very similar. Personally I would go with the Newegg combo because of the processor upgrade and slight savings in price. I posted this comment a couple of weeks ago and it was recently deleted (couple of weeks ago the same combo was $549.99). I just want to provide people with options that are similar, more affordable, and potentially better. hey, I know im a bit late but looking at the newegg combo and am seriously considering it! will be my first pc build but the only thing I am worried about is the 3gb of vram. From what ive read this is quite a hinderance. 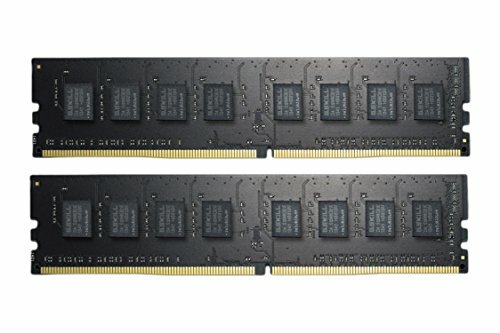 How does the 1060 3gb model compare to the 6gb? Same question for the 480 4/8 gb. Both versions are slightly slower than their higher GB versions. If the lower models have enough VRAM, then the VRAM amount won't make a difference. If they don't, it will make a big difference. It'll depend on the application. VRAM aside, the 3GB model has 10% fewer shading units and operates at the same clock rate. This effectively results in a reduction in performance of very roughly 5% (varies depending on games) relative to the 6GB model. The 4GB version of the RX 480 has somewhat lower clocked memory speeds than the 8GB version. It will affect performance at all and ever, but it will do so by a very small amount most of the time, provided 4GB is enough VRAM. It should be noted that with jet.com's current promotions, you can get a rx 470 4gb for around ~165$. Would make a good replacement for much cheaper, imo. EDIT: Other than a few minor tweaks, i'm following this build very closely for my build I am currently gathering parts for. If your going to keep it for a while, the 470 is a good choice due to the better DX12 performance and extra RAM. If you plan to upgrade in a year and the 1060 is less than 10% more than the 470 that may be better. is there enough overclocking headroom for the 4gb to match the 8gb vram speeds though? If it ever tries to use more than 3gb of VRAM the performance will tank. Then you'll have to lower the texture quality. Kaby Lake will be marginally better and slightly more expensive (im still going to buy one lol). Do you have to turn on the Hyperthreading in the BIOS or is it on by default? Does this cause the Temps to rise a great deal? It should be on by default. I'd imagine it'd make temps go up a little bit (but not large increase) since hyperthreading increases utilization of the CPU's execution units, even though idle ones will still consume a little power. The Core i3-6100 doesn't support DDR4-2400, only DDR4-1866 or DDR4-2133 according to the Intel Ark page. So does every other Skylake CPU, thats why they have XMP which basically overclocks the RAM to their rated speeds, it's the motherboard that controlles that so you will need a motherboard that supports the speed of the RAM which this one doesn't. I think only z170 motherboards support XMP. Yes so why did op go with faster ram? Probably because it was cheaper at the time. If the RAM's clock speed is higher than the CPU's specification, then the CPU will automatically downclock the RAM to supported speeds without causing compatibility issues. How about the cooling system ? Wont the cpu fry at some point ? its not worth buying a cooler for a cpu that wont overclock if it already comes with a stock one. Have a look at the parts list. You can click the blue 'buy' buttons on the right hand side and it will link you to the sellers. You can also create a custom parts list from this page via the 'customize this parts list' button. Here you can select the vendor to save on shipping (for example) or change out parts as you please. 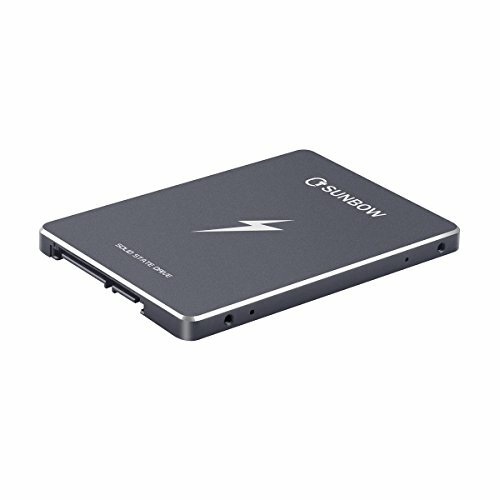 Why an SSD for an entry level build? It seems like I could save a lot by buying a cheaper hard drive. But maybe there is a good reason for this choice. An SSD makes for a considerable quality of life improvement when using a PC. Not just boot times or loading screens in games. The whole system is much snappier and more responsives. These days, SSDs have come down in price enough that entry level builds can include them. Everyone's needs are different, so feel free to change out capacities to fit yours. SSDs are very fast and their prices have dropped to the point where many entry level builds can fit them in. How does the Pentium G3258 compare to the i3-6100, will it bottleneck the GPU? The Pentium is quite a bit slower than the Core i3 but can still decently play some games...nevertheless I would still recommend something better. will it bottleneck the GPU? Yes. No. Any CPU can bottleneck any GPU. The most powerful CPU could bottleneck the weakest GPU or vice versa. Bottlenecking always completely depends on the specific situation. I'm still kind of new to all of this. Can you explain and/or link to why this is? I had always thought the cpu was was the deciding factor. But, I thought the bottleneck was alleviated by the CPU power. What's the connection between the most powerful CPU bottlenecking the weakest GPU? 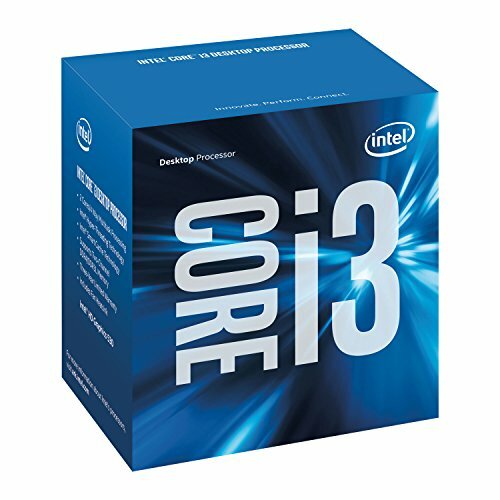 All things considered for an all around PC you might want to spend a few bucks on the i3 simple for the hyper threading that could be used for non-gaming programs. B) Workloads that want to keep the CPU under load for as close to 100% of the time as possible. Low-end Video Editing and low end 3D Rendering are standout examples in this category. And i3 woudl take awhile to render a video, but it will do it a lot faster than that G3258 even if you overclocked it. A low end gaming machine shoudl be a bit of all all arounder for some everyday tasks if it will just cost a $20 to $50 more to make it so - IMO. What kind of games can this build run? will it be able to run overwatch or battlefeild 1??? Typo: The CPU section should read that a CPU cooler ISN'T needed. 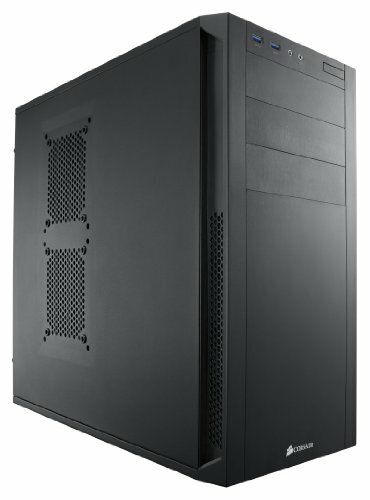 Is this pc strong enough to do video editing, twitch and live streaming, and other things or is it only good for gaming?? Should be able to, I would think. would this rig run WoW?? no need for ultra graphics or anything. It would run WoW just fine. I have a very basic computer, and I'm working on my build. But I can run the game just fine. How does the Thermaltake Core V1 case compare to the case used in this build? This would be my first build and the idea of a smaller case appeals to me as it would make the whole thing more discreet. I'm just wondering in terms of fitting the parts and noise. Hello I'm new to all this and was wondering if I could swap out for the i5 6500 and gtx1060 with this build? Now that the 470 is $170 it should really replace the 1060 as it has more VRAM, similar per per $ in DX11, and greater or equal to performance in DX12. Hi. I used this as the basis for my build - got a 6GB geforce gtx 1060 graphics card because I had some extra cash. Apart from that its basically the same - my question is this: I can run overwatch really nicely - and I'm interested in BF1. However when I check with 'canirunit' they return with a resounding 'no' based on the processor - is this actually the case? Or could I still run it with the graphics tuned down a bit. Same thing with games like DOOM and The Witcher 3. Like I said - I can run Overwatch on Ultra settings no problem. hmmm I just did a google and found that people actually post videos of systems with this spec running - looks like they run really nicely even though the specs say they wont! Does the i3 bottle neck the 1060? Yes and no. Bottlenecking completely depends on the specific use. For gaming, it completely depends on the specific game, resolution, and graphical settings. Any CPU can bottleneck any GPU and any GPU can bottleneck any CPU. Why did you choose an i3 for this when there is no noticeable difference in fps between an i3 6100 and an athlon 845, which is $50 less? There is some of a performance difference in favor of the i3. New to pc building but how difficult would it be to install windows on this pc build. Couldn't you use a USB for install? 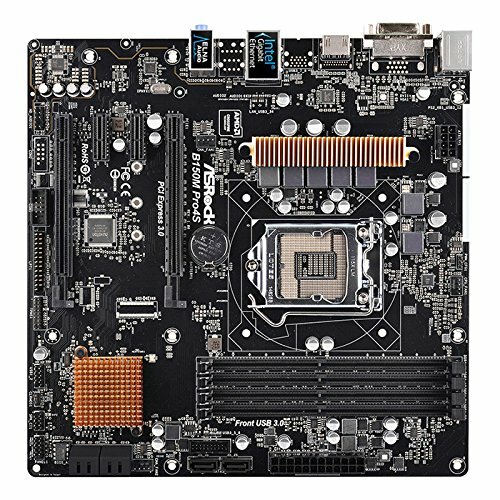 New to pc building but how difficult would it be to install windows on this pc build. Couldn't you use a USB for install? How does the GTX 1060 3gb compare to the RX 480 4gb? My machine is like this, only I have an i5, 16 GB of ram, 1050 TI Geforce GTX, and a slightly different motherboard. Would this be a worthy successor to the Entry Level Gaming build? Shopping around on line you can get the parts for £550 in the UK, cheaper than this build and includes an i5 6500. Great build. More people should make builds like these. Everyone's needs are different, so feel free to change out capacities to fit yours. For example, if 240GB feels cramped to you, I recommend picking up a mechanical hard drive for another 1 or 2TB or storage space. Peripherals are outside the scope of these guides. The i3-6100 is a great CPU and will should not bottleneck the GPU under certain circumstances. Bottlenecking in is a relative term and it all depends on the other factors of what the PC is running. There shouldn't be any problems here. the i3 6100 has phenomenal single threaded performance and if you get the right motherboard you can use the base clock overclocking method to get well over 4Ghz. It is by far the best value CPU on the market. While you can overclock an i3, I would advise against doing so because i3's are not technically designed to be overclocked and Intel does not want you to overclock locked processors. Yeah but wouldn't buying an i5 with a low end mobo give a better value than an i3 with high price mobo to overclock ? I know bottlenecking well but I wasn't sure about the i3's capabilities until I saw some videos about it combined with powerful gpus without breaking a sweat.